After months of rumours that first Sainsburys and then Tesco would be taking over the North Pole pub, we now have a clear picture. The freehold of the building has been bought by a property fund called Riding House Investments. Tesco has taken a 20 year lease on the ground floor and basement, and propose to open a 3,300 sq.ft Tesco Express store. Councillor Matthew Palmer will be organising a meeting between Tesco and the shopkeepers in North Pole Road. The Association’s main concern is now to protect the future viability of the existing shops and in particular the post office, chemists, and butcher – as longstanding and well used facilities for local people in this area. We also support the new RBKC policies designed to stop the loss of pubs in the Borough. The council has been consulting on its new policy, and has recently published its final proposals which you can find here. From feedback from our membership, most feel that North Pole Road already has three convenience stores, and that the arrival of a Tesco Express risks putting existing shops out of business. A small number of our members would be happy to see a Tesco Express in North Pole Road. Tesco argue that such stores increase footfall and can help to revive a local shopping street. The existing shopkeepers are very unconvinced. Subject to more views from members, the Association intends to oppose the planning applications submitted by Tesco. We support the council’s new policy against loss of pubs. No planning permission is currently required for change of use from a pub to retail, although there is growing national pressure to change the planning system in this respect. Below is a bit of the pub’s history – a long one, which Tesco will now bring to an end. Tesco argue that the pub had been in administration for 5 years, and is not viable as a business (although it seemed to do fine a few years back, when the food offer was right). 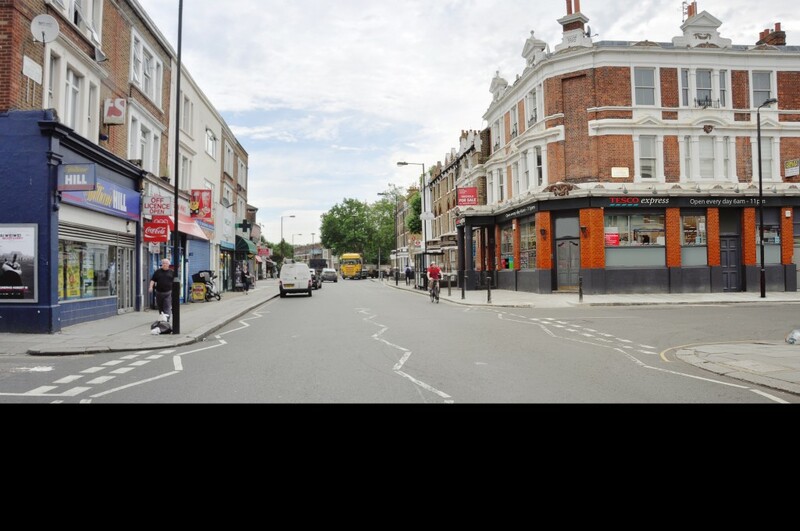 Recently we had a St Quintins resident in here explaining that the residents used to meet at least once a month at the North Pole Pub, now a Tescos, and that it brought a great sense of community and neighbourliness that is sorely missing from some areas of London. I would love to propose that such get togethers begin again, with The Eagle playing host. Please call, email or pop in to discuss with me – as we are a locally driven pub and have had the pleasure of three months of being lovingly welcomed as a brand new business within North Kensington, meeting more locals is what we aim for. The reason why the north pole closed was because not many people used it now its gone people are complaining about it. If you lot didn’t want it gone you should of gone there.Plus there is a pub a few meters beyond where the north pole used to be. Its call the pavilion . I agree but The Pavilion is even worse!! I am a local resident and whilst I fear for the impact on the current stores on North Pole road, I welcome the arrival of Tesco’s. The current convenience stores do not offer fresh produce and call me lazy, but I’d rather a endure a half hour round trip (walking) every time I want to pop out to buy some fruit/veggies etc. Unfortunately, what Tesco’s lack in local community spirit, they make up for in the wide range of fresh produce and quality of food. In my opinion, the pub was not attractive, served poor food and never seemed to have many people in it. I do not like seeing long standing pubs close down but surely it would have not done so if more people had visited it?! Sadly, it seem that its demise reflected its relative lack of local popularity. That said, as a local resident of many years, I do hope to see this corner of North Kensington further regenerated as its an area which could definitely do with more improvements. Correction: I’d rather a *NOT* endure a half hour..!! I’m also glad there will be a tesco. Th current shops offer poor quality and if you don’t have a car, it takes a far bit of time out of your day to walk to the big Sainsbury on Ladbroke grove, or elsewhere. Good news in my opinion. The pub was under-used and no great shakes. Tesco offer the exact same poor quality rubbish that the three convenience stores offer. Why put a fourth crap shop in a parade of other crap shops?’ Why not put a good shop there selling stuff that cant be bought already in the area – or – a good pub / restaurant / delicatessen / with a real chef – not some brewery owned dump that nobody cares enough about to run it properly. There is not one single good restaurant West of Ladbroke Grove North of Holland Park. I cannot believe such a business would not be a success. Instead, we will witness the degradation of a grotty but characterful neighbourhood parade into a faceless anonymous grotty parade. The only advantage tesco would have is that it looks cleaner – at first anyway. The real disadvantage is the deterioration in service – you honestly think Tesco staff will know the names of the local children? look after the considerable number of old folks who go in there just for a chat – Tesco would undoubtedly be responsible for destroying the strong community spirit which is one of the best things about this area. It’s a disgrace if the planners do not use their mandate to deliver a balanced use of property in the area. I grew up round the corner from this pub though now live in Brighton. However, I do understand that it is very tough to run a pub in Notting Hill now as people my age (30) have no interest in going out in an area where all the pubs shut at 11. I’m not advocating wholescale all night openings, i’m just highlighting that most other areas have pubs opening till at least midnight and this is why pubs in Notting Hill are so empty and closing whereas restaurants do very well. In regards to Tescos, i’m 100% against their arrival. It’s a great parade of shops already and you are a ten to fifteen minute walk to Sainburys, Portobello Road and another Tesco metro so the idea that you can’t get fruit and veg nearby is strange. The shop on StHelens Parade also has suprisingly good veg. I have had firsthand knowledge on how these stores can affect a community. They drive out the local shops in addition to increasing food goods or only stocking more expensive items. There are already too many ‘same’ stores within in easy walking distance of i.e. Tesco – nr BBC, Portobello Road. Sainsburys – Ladbroke Grove, top and middle. How can this contribute to the character and significance of an area and its sense of place, Public houses not only make a valuable contribution to the community and cultural life of the Borough, but at neighbourhood level they offer a source of identity, distinctiveness, social interaction and coherence – in short the essential ingredients of a sense of community and place. They are part of that fine grain mix of uses, which provide not only historical continuity, but contribute to the vitality of our residential communities and the character of an area. It is unacceptable and uncompetitive to strangulate an area and not give the community the opportunity to have a choice of what convenient stores or community. If M&S or Waitrose were to have applied for this site: 1. they are not particularly cheap but would not have deterred people from using the already up and running convenient stores, 2. Offered higher quality goods and items, 3. Would add quality to the area. Hilarious – a whole lot of hyperbole about the importance of a pub that you then completely ruin by saying you would prefer an M&S or Waitrose…!! Revealing perhaps that it’s not perhaps the pub you’ll miss more simply that Tesco is a bit common for you?! It’s a shame you didn’t use a more recent photo – perhaps one showing the police tape around the entrance during the Notting Hill Carnival this year. I’ve given up trying to get fresh vegetables from the three shops on the street – the very little on offer is usually going off. However, the existing shops offer amazing variety if you want to buy crisps, sweets, cheap cans of beer and cider, tinned food or top-shelf magazines. They seem to be popular with the local drunks and schoolchildren, who then festoon the surrounding neighbourhood with the resulting litter and detritus. There are three grocery shops on the same ‘parade’ all selling the same stock, and two of them have the same owner. Will residents really miss this? At least with a Tesco Express I’ll be able to get some fresh produce, as well as cheaper staple items. The signage on the Tesco photo above looks much smarter than the current shopfronts, which look a bit tatty and tawdry. I would actually welcome a Tescos here. The quality and selection of what is available in the local shops on North Pole Road is very poor. I tend to use them on occasions when I have run out of something and to buy milk and newspapers. I have on several occasions been sold milk which I have found is off when I get it home. The selection of fresh fruit and veg in these stores is very poor and often mouldy. It is often is the evening when you’re cooking and find you’ve run out of something that you turn to these shops. At this time of day Portobello Road market is not open. There are three shops on the road all selling exactly the same stock. Two are owned by the same person. Would prefer an M&S Simply Food or Waitrose but Tescos will do. As a local resident I am delighted that a Tesco Express store is opening up at this location. The North Pole Pub has had practically no-one in it for many years – it has also attracted its fair share of trouble – with three stabbings at Carnival this year alone – and various gang fights over the years. Pub culture is in decline – and if local residents really wanted a pub at this location they would have visited it more often. At present there is nowhere nearby to buy fresh fruit, vegetables and salad items. I think the arrival of a Tesco Express could really help revitalise this shopping area – and boost as many local businesses as it potentially damages. nowhere to buy fresh vegetables???? excuse me, did you ever walked down the road by Barry in barlby road?? did you hear tha there is a place called portobello road that has a famous veg and fruit market? Ans as if vegs in supermarket are “fresh”. Wake up please and get real!! Thank you for your patronising reply. I’ll return the favour. As someone who works six days a week and regularly doesn’t get home until after 9pm these meccas that you speak of are long since closed. Having the option of buying fresh fruit and vegetables – opposite my house – is appealing. I dispute that Tesco / Sainsburys or indeed any other supermarket don’t sell fresh fruit and veg. Sadly the same can’t be said for the three shops opposite who regularly attempt to sell out of date or past their best goods at a relative premium. For fresh fruit and vegetables, there is also the shop run by Bas in St Helens Gardens. He sells good quality produce, and works very hard while also having time for local people. A lot of effort is going into ensuring the shops in this parade survive, and three vacant units have recently been filled. We do not need a Tesco in this area. 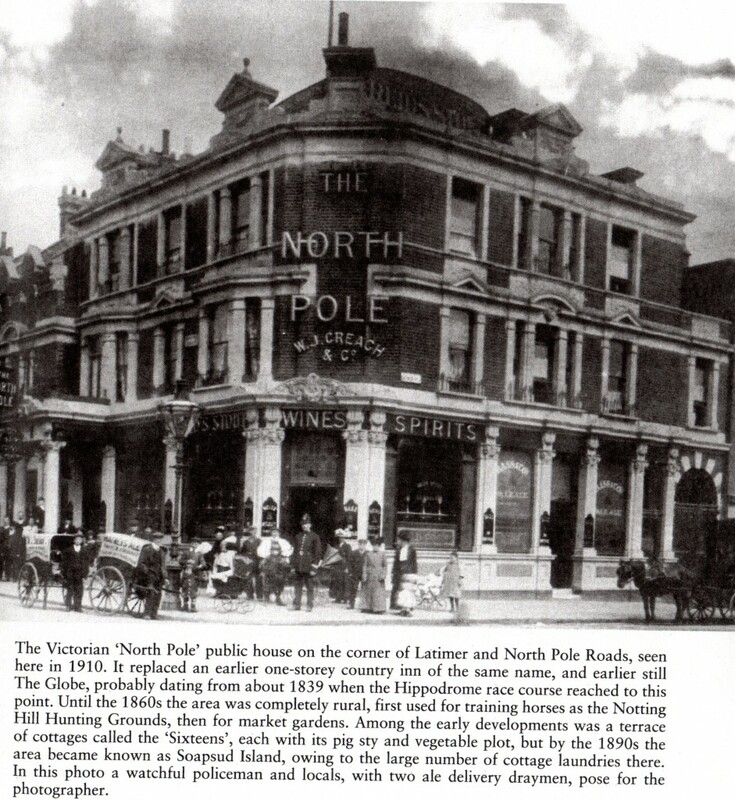 Thank you for giving this important information source regarding the demise of our beloved North Pole and my former local. I just wanted to correct one aspect of this report inasmuch as I understand it from Alex (the manager until August 31st when it closed) that the pub was not under administration for 5 years but was in fact owned by the bank of Ireland and was being managed by Alex on 6 and then 3 month temporary contracts. Although this was little incentive for him to really make a go of it, it still had popular Monday night quiz nights, live music (with considerable local talent) and was actually running at a profit. i.e. it was and still is today a totally viable proposition as a pub.